It’s officially summer which means it’s high time for buying air conditioners! Save yourself some time and money by taking a few minutes to figure out what you need before deciding what you’re going to buy. 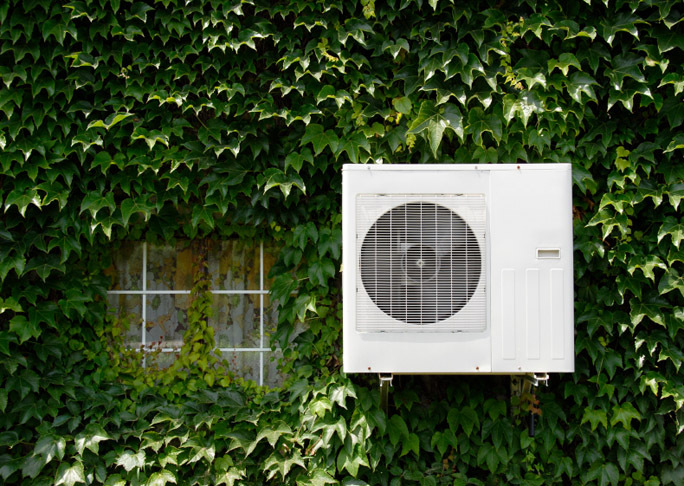 What type of air conditioner do you need? * Do you want something permanent to use all year round, possibly for both heating and cooling? Then you want a built-in model. * Would you like to be able to use the unit in multiple rooms around your home? You’re looking for a portable model. * Are you looking for something just for the summer that would be stored through the colder months? Sounds like a window unit is right up your alley. How much cooling power (BTUs) do you need? * How big is your room? Consider not just square footage, but also ceiling height. See the chart below for suggested BTUs based on room size. * What type of exposure does the room get? Does it get direct sunlight or is it mostly in the shade? For direct sunlight, add 10% to the recommended BTUs for your room size. 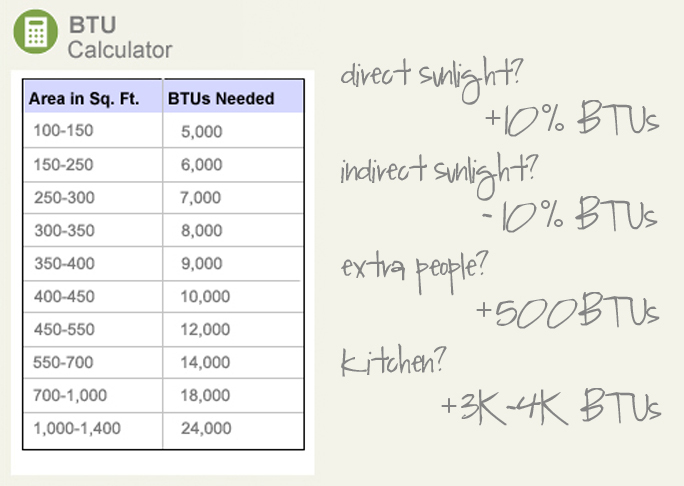 For indirect sunlight or shade, subtract 10% BTUs. * How may people typically occupy the room? Just one? More? Add 500 BTUs for each additional person. * Are you trying to cool a kitchen that will be in use? You’re going to need some extra help for that. Add 3,000-4,000 BTUs for kitchens to compensate for the additional heat. What additional features do you need? * Looking to control energy costs? Look for an ENERGY STAR qualified model to keep those costs down. Also consider units with sleep and/or timer modes. * Will the unit be installed somewhere difficult to reach? Or maybe you don’t want to have to get up off the couch to change the settings? Consider a model with a remote control. 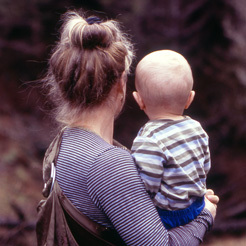 * Could the primary user benefit from easy-to-use controls? Look for unit with an LCD display and large/clear buttons. Now that you know what features to look for in an air conditioner, you should should be able to quickly sort through the available models to find just what you need.